The Italian composer Bellini is known for his operas, but perhaps less well-known is his story of unrequited love. Song of the Dove tells of Bellini’s early days as a music teacher, where he met and fell in love with the beautiful Maddalena. Maddalena’s wealthy and influential parents were less than impressed with their daughter’s choice of suitor, and banned him from their home. However Bellini and Maddalena were not to be discouraged – they promised that, like a pair of doves, they would be together for life. 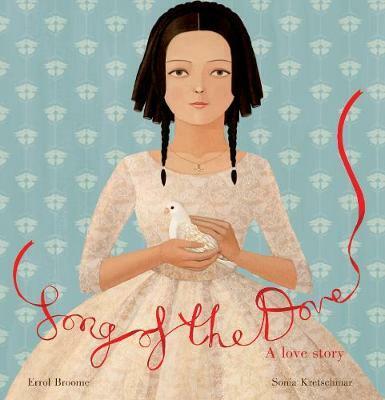 Song of the Dove is an absolutely stunning retelling of a fateful romance. Older readers who enjoy classical music, or perhaps would like an introduction to it will love this picture book from Errol Broome, and the book includes a list of Bellini’s operas as well as a short biography. But the real show-stopper in this book are the exquisite illustrations by Sonia Kretschmar, which absolutely need to be seen to be believed and perfectly complement this story of love. Holly Harper in a children’s book specialist at Readings Carlton.